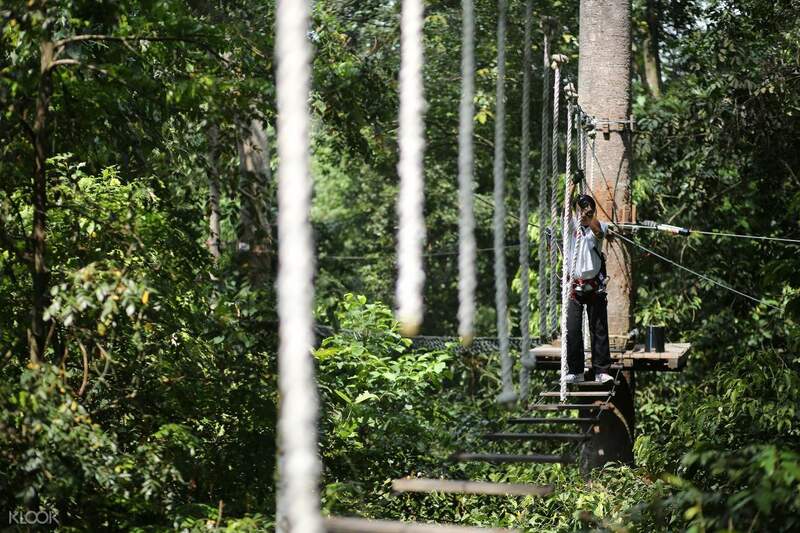 Experience a tense and adrenaline-pumping outdoor adventure at Skytrex Adventure! 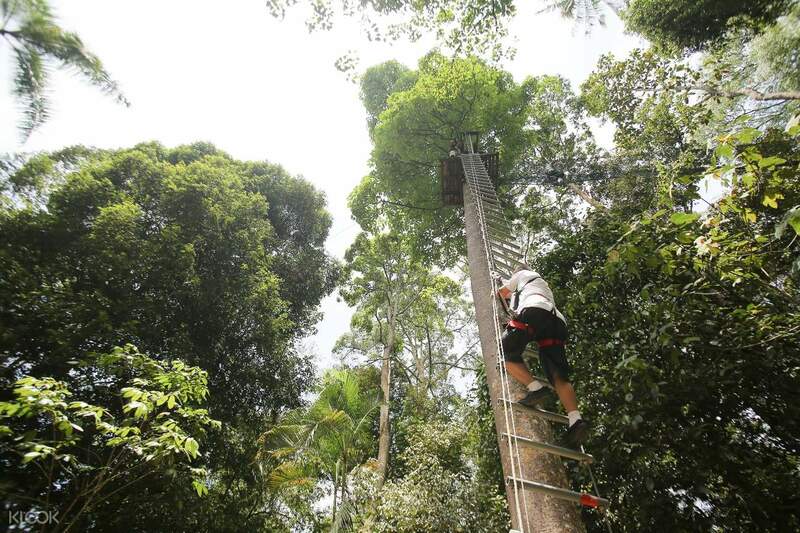 Drop by Skytrex for a more action-packed recreational activity for the entire family to enjoy! Worth it! we didn't let anyone "chicken out" and finish the course! Save your beach getaways and sun tans for last and dive head first for an exhilarating outdoor adventure at Skytrex in Langkawi! The amazing team behind Skytrex cooked up the most challenging obstacles for all ages. 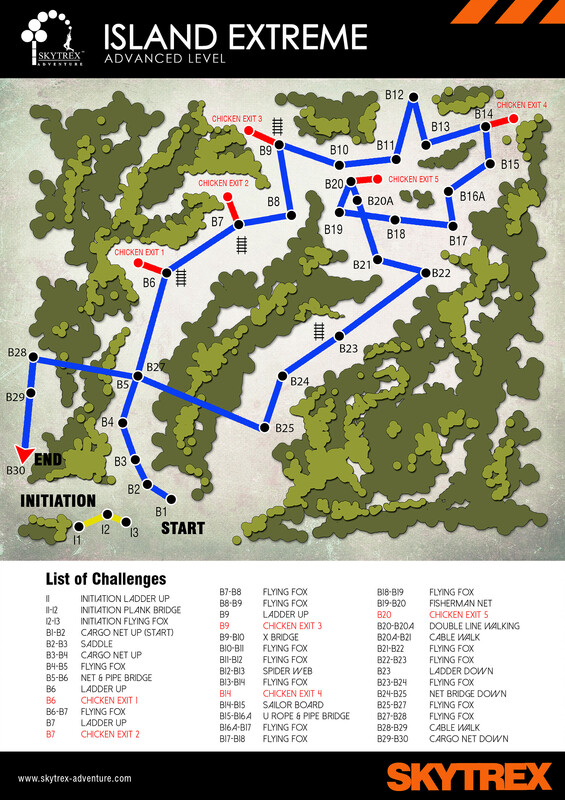 Each trail showcases different difficulty levels with a range of challenges along the circuits: Eagle Thrill, and Extreme Challenge. Enjoy a fun and relaxed action in the Little Legend Adventure with the many zipline journey from tree to tree and take on a balancing obstacle atop vertical and horizontal bridges in the midst of the jungle. 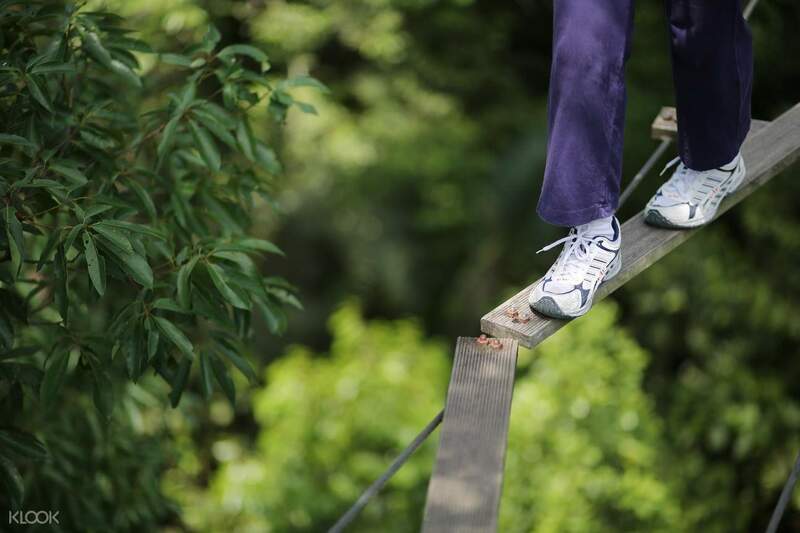 At the Eagle Thrill, dare to conquer height-induced obstacles such as the Flying Fox, Plank Bridge and many more. Not for the faint-hearted, the Island Extreme houses 35 notorious tasks that would make even the biggest thrill-seeker tremble in fear. Participants have to go through the Saddle, Cargo Net Up, X Bridge, Surf Board so it's best to stay hydrated throughout the entire course! 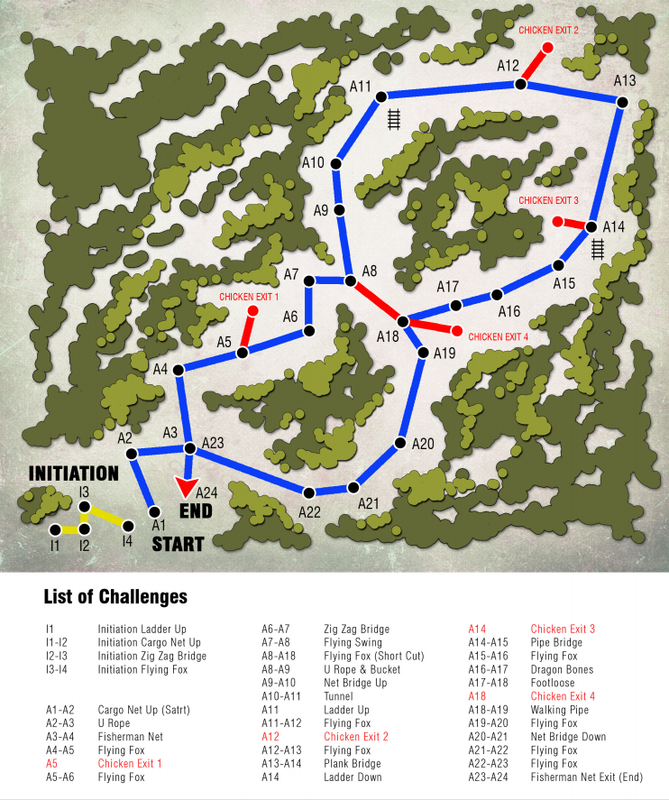 The forest's natural and misty environment makes for the suspense of each Skytrex challenge, there's always plenty of room to keep the obstacles interesting. Complete with safety briefing, gear and equipment, and a friendly English speaking instructor, Skytrex Adventure is worth every penny if you're up for an extraordinary physical challenge! Super fun, exciting and challenging! The staff were all friendly and helpful. They check on us to make sure we're doing everything right and that we are safe. They friendly and fun to talk to. They always offer to take our photos. Looking forward to trying the extreme one next time! Super fun, exciting and challenging! The staff were all friendly and helpful. They check on us to make sure we're doing everything right and that we are safe. They friendly and fun to talk to. They always offer to take our photos. Looking forward to trying the extreme one next time! We booked the activity 2 days before the date. And it was easy through Klook. The receptionist at the Skytrax counter was super friendly n helpful. The guide was helpful n funny too. They upgraded my package to the extreme package. The challenges were challenging especially the stairs. N there were many ziplines to enjoy. So much fun. One of the best experiences in Langkawi. P/s: bring your own water cuz it’s a good sweat session. Better to get the glove n bottle holder package as the cables are slippery. We booked the activity 2 days before the date. And it was easy through Klook. The receptionist at the Skytrax counter was super friendly n helpful. The guide was helpful n funny too. They upgraded my package to the extreme package. The challenges were challenging especially the stairs. N there were many ziplines to enjoy. So much fun. One of the best experiences in Langkawi. P/s: bring your own water cuz it’s a good sweat session. Better to get the glove n bottle holder package as the cables are slippery. I booked Eagle Thrill challenge and it was so much fun. This activity challenges your fear of heights and you have to overcome it with your determination to complete all the challenges. 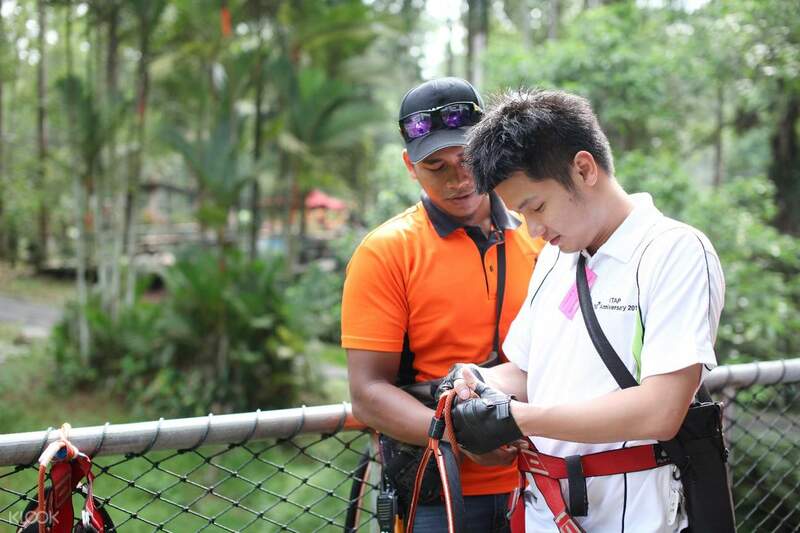 The flying fox was fun as you can enjoy the speed and admire the nature around you as you move to the next challenge. Skytrex is located in a place full of lush greens and the sound of nature was very soothing that accompanies you while doing the challenges. Highly recommended. I booked Eagle Thrill challenge and it was so much fun. This activity challenges your fear of heights and you have to overcome it with your determination to complete all the challenges. 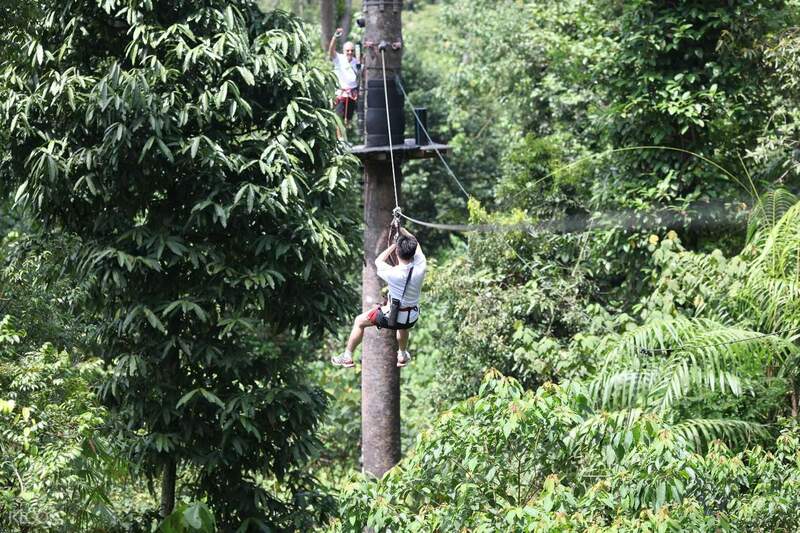 The flying fox was fun as you can enjoy the speed and admire the nature around you as you move to the next challenge. Skytrex is located in a place full of lush greens and the sound of nature was very soothing that accompanies you while doing the challenges. Highly recommended. If you're a thrill seeker, this is definitely the perfect activity for you! They take safety seriously, hence, you do not need to think that much. Overall, it was an amazing experience. If you're a thrill seeker, this is definitely the perfect activity for you! They take safety seriously, hence, you do not need to think that much. Overall, it was an amazing experience. Activity was very fun, we are active but not super sporty people and we completed the extreme trail in about 1.5-2hrs, including about 20mins for the intro walkthrough. If you consider yourself quite fit you should definitely try to go first - we spent some time waiting for people ahead to complete obstacles and there's not much opportunity to cut ahead whilst on the course. The 3 ladders were extreme choke points. When we completed (we were 4th and 5th in a group of 21 people for that session) we saw that the last guy was only on the first few stations, so don't be that person who has to wait 2hrs to start! Activity was very fun, we are active but not super sporty people and we completed the extreme trail in about 1.5-2hrs, including about 20mins for the intro walkthrough. If you consider yourself quite fit you should definitely try to go first - we spent some time waiting for people ahead to complete obstacles and there's not much opportunity to cut ahead whilst on the course. The 3 ladders were extreme choke points. When we completed (we were 4th and 5th in a group of 21 people for that session) we saw that the last guy was only on the first few stations, so don't be that person who has to wait 2hrs to start! Fun and worth. Good experience and memories with families. Fun and worth. Good experience and memories with families. Easy to redeem. The instructor is really friendly and helpful. Enjoyed this activity very much. Plenty of flying fox, swing from here to there. Easy to redeem. The instructor is really friendly and helpful. Enjoyed this activity very much. Plenty of flying fox, swing from here to there. Worth it! we didn't let anyone "chicken out" and finish the course! Worth it! we didn't let anyone "chicken out" and finish the course!